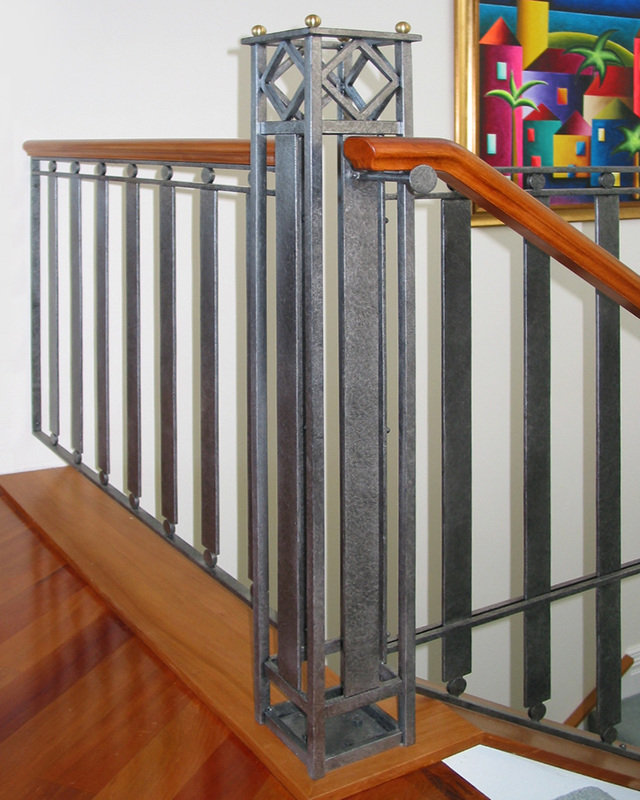 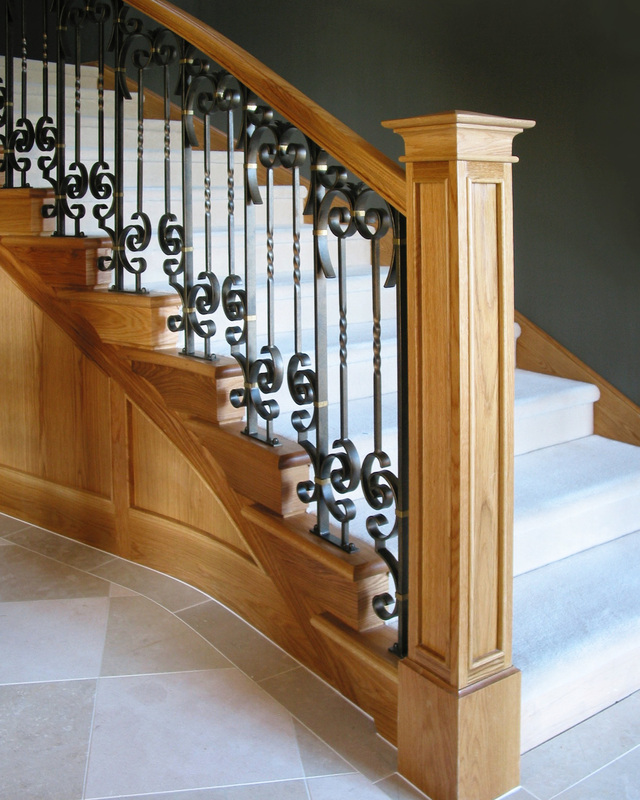 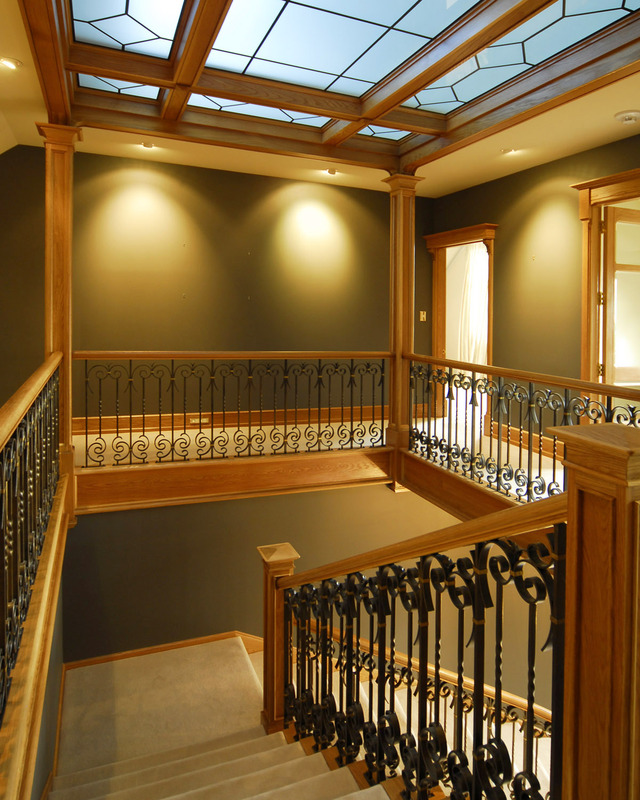 Handcrafted oak handrails and newel posts with a custom wrought ironwork. 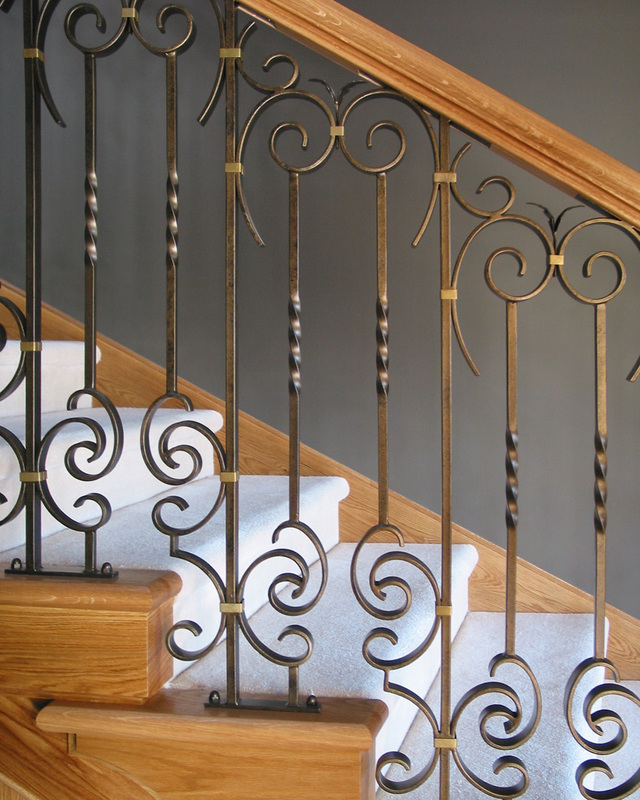 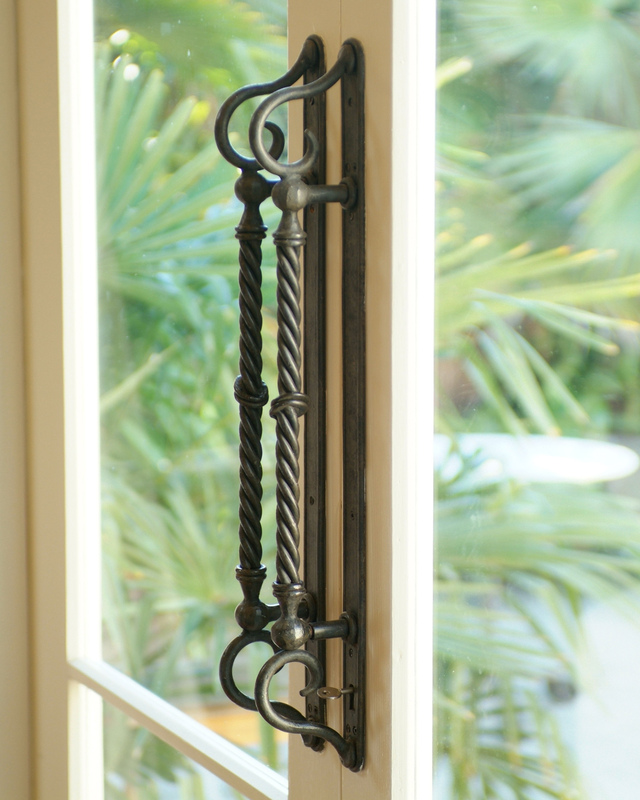 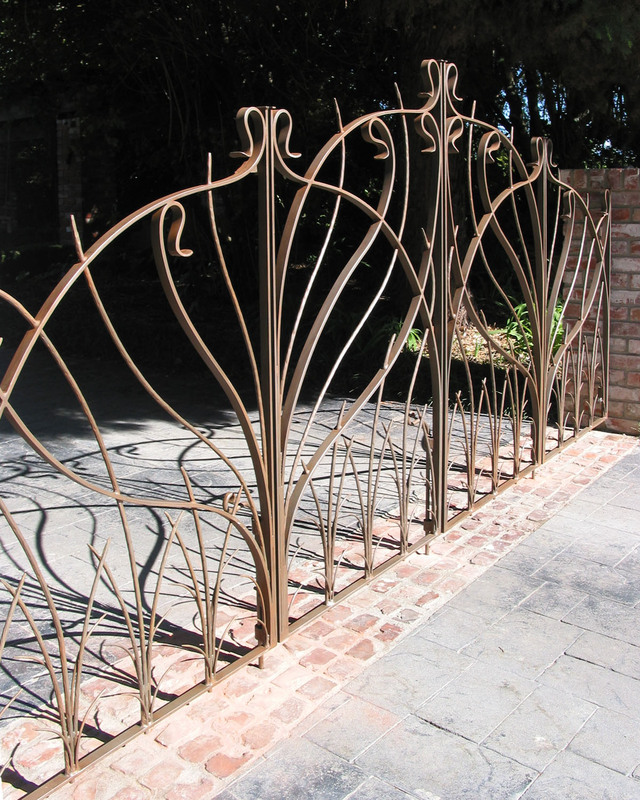 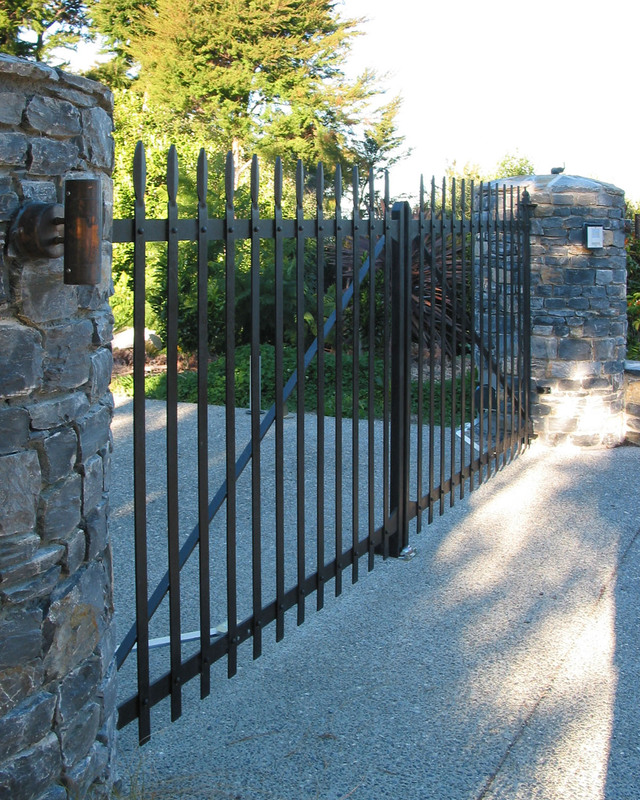 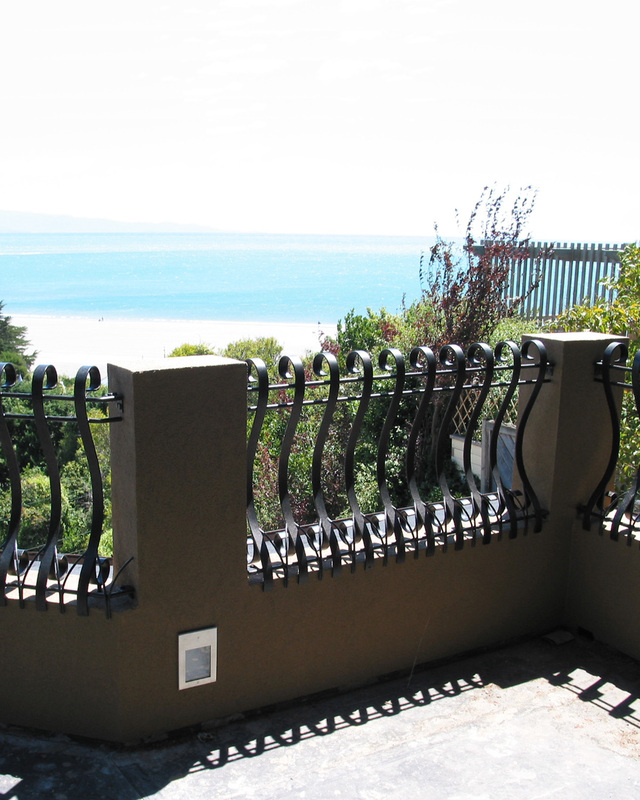 The wrought iron balustrade features hand forged scrolls and twisted steel bars together with brass collars, hand finished in a bronze patina. 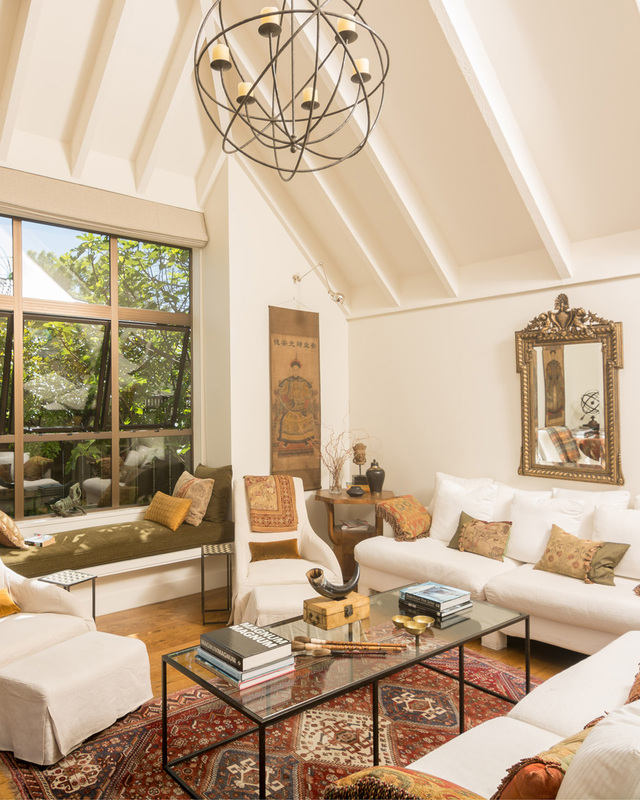 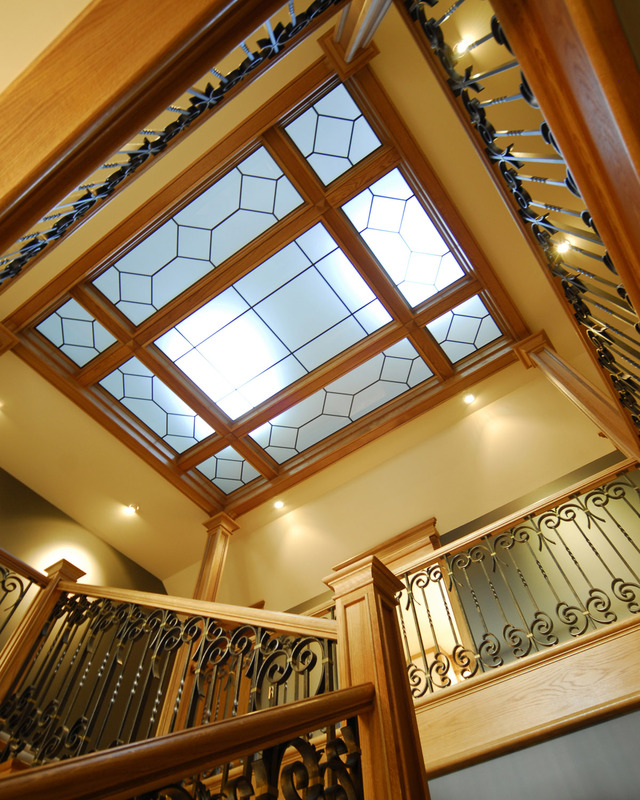 This grand staircase sits beneath a Tasman Forge, custom made, frosted glass skylight.